I define personalized learning as the ability of a student to have self-directed choice in what and how he or she is going to learn; a sense of ownership over their education. While I am still learning about personalizing, I experimented with several elements of personalization in my classroom this past year. I might always choose to sit in the comfy couch chairs because that’s where I usually prefer to drink my tea. However, a friend may enjoy sitting in the chairs next to the wall, as she likes an outlet for working on her computer while she sips her coffee. When my students were responsible for choosing their seating, it fostered a deeper sense of community in our classroom through sharing, taking care of supplies, and compromising. It also developed students’ skills in taking an active role in their learning on where they work best in the room, and when they need to make an informed change. The salad side is for choosing which toppings you want to go over your lettuce. The soup side is for ladling out the best soup choice according to what you prefer most. Both sides are for lunch, both sides are complimentary to one another, both feed you, and most likely you’ll visit both sides. We had four stations where students rotated through structured learning activities in small groups for both math and reading. Students were responsible for choosing which books they read, which activity would be best to support their level of understanding, and completing collaboration activities were provided to enhance learning and understanding. Their station information was up on a PowerPoint that ran on its own timing between slides, informing the students when it was time to switch stations. With different activities at each station, learning occurred alongside with exploration. If a gym member steps on a treadmill in the middle of training for a marathon, their pace is most likely going to be quicker and they will probably run for many miles. Another gym member heads toward the treadmill for the first time in a few years. Both members’ experiences will be vastly different, but with the treadmill having adjustable speeds and incline both of these individuals have the ability to work hard and leave the gym feeling successful with their efforts. Most of us, if not all, already differentiate beautifully in our classrooms. Differentiation, a teacher modifying material that is being taught and how students will learn it based on the unique needs of his or her class, has been extremely successful in meeting the needs of small groups of students. Before I learned about personalized learning, our classroom differentiated groups were centered around myself as the teacher; even though there was choice involved, I was still the only one responsible for what we were learning, and when, and how. In reaction to hearing about personalization, I wondered how this would work in the classroom and how I could personalize my students’ learning with myself in more of a guide position to support my students. With much help from others, I was able to use an online platform to build part of my math materials for this year. The learning curve was steep, and sometimes frustrating, but my students were helpful by providing feedback and catching mistakes I made. 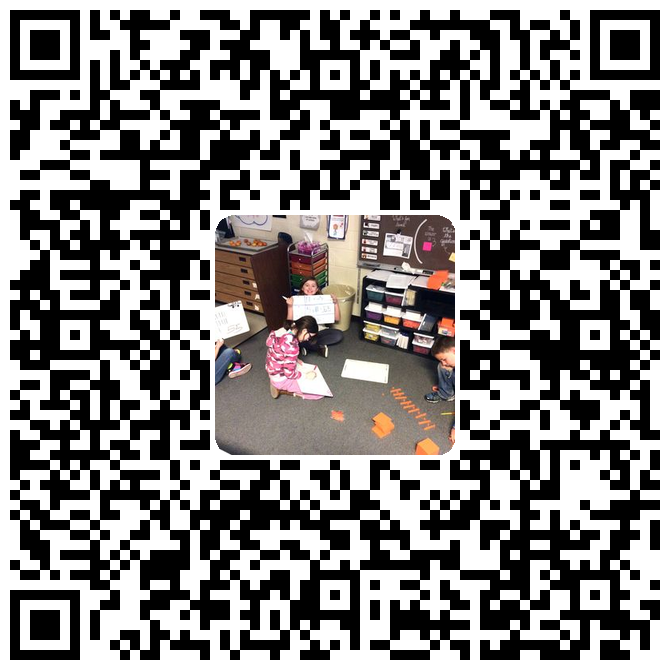 I had a specific group of students working in a personalized learning method. Eighty percent of the students who were using the online platform met or exceeded yearly growth for math. Student reflections and feedback included statements such as, “I like working online because it lets me go at my own pace,” and “The program helps me be less distracted by other people and I can focus on my own work,” also “I don’t have to be worried about where other people are at.” I observed different students working at various parts of the math unit and utilizing tools and manipulatives that made sense to them as they worked through the lessons. My students also questioned the lessons, helped each other, and challenged one another’s thinking. Watching personalized learning unfold was really neat to experience. Through personalized learning, I was able to integrate other programs and platforms to further exploration, learning, and real world connections. It wasn’t all smooth and perfect, but that’s where my learning as an educator comes in. This is only the beginning of my attempt to personalize my classroom, and I am already seeing the benefits through the students’ experiences and collaboration, assessment results, and direction that personalizing learning is taking both my students and myself. This entry was posted on July 20, 2017 at 4:22 pm. You can follow any responses to this entry through the RSS 2.0 feed. You can skip to the end and leave a response. Pinging is currently not allowed.